DEARBORN, Mich., Nov. 17, 2010 – Ford Motor Company won two 2010 “Best of What’s New” awards today from Popular Science, marking the fourth straight year Ford has been honored by the world’s top science and technology magazine. The company’s inflatable rear seat belts and 2011 Fiesta won in the automotive category and will be featured in the publication’s December issue. Inflatable rear seat beltsFord recently introduced the world’s first production automotive inflatable seat belts, combining attributes of traditional seat belts and airbags to provide added crash safety protection for rear seat occupants. 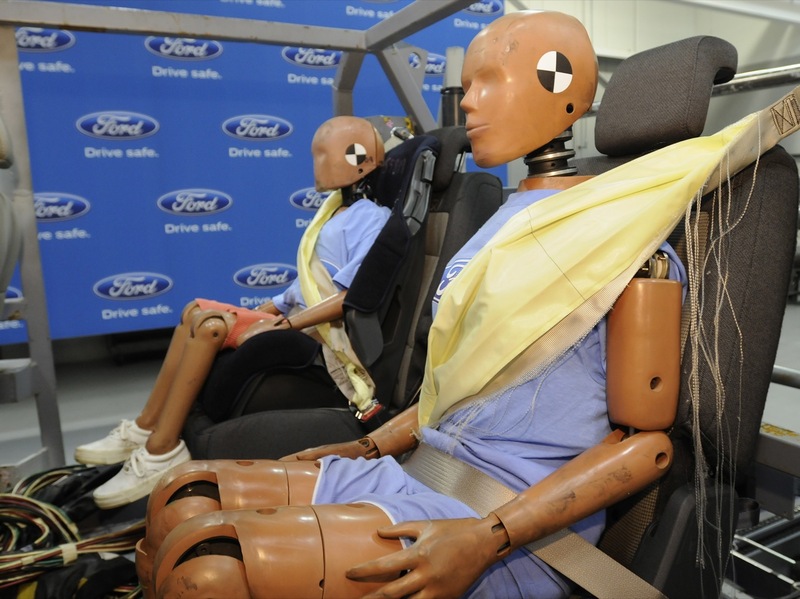 The advanced restraint system is designed to help reduce head, neck and chest injuries for rear seat passengers – often children and older adults who can be more vulnerable to such injuries. The new belts will launch on the all-new Ford Explorer, which goes into production next year for the North American market. Over time, Ford plans to offer the technology in vehicles around the world. 2011 Ford FiestaThe new 2010 Ford Fiesta is proving that cutting-edge technologies and connectivity can help redefine consumers’ small car experiences. Fiesta features – including Push Button Start, a PowerShift transmission and Ford SYNC® hands-free communications and entertainment system – are not found on competitive products such as Honda Fit, Toyota Yaris or Nissan Versa. Fiesta is also the first vehicle to allow hands-free control of popular smartphone apps. Using the downloadable SYNC AppLink software upgrade, 2011 Ford Fiesta owners with SYNC can control apps on their Android or BlackBerry® smartphones with voice commands and vehicle controls without having to interact with the mobile device itself. Seeing the future through the presentInflatable belts and the Ford Fiesta both use technologies grounded in the present but packaged in innovative ways, pointing toward key applications in the future. That quality was crucial to winning the Popular Science award. About Ford Motor CompanyFord Motor Company, a global automotive industry leader based in Dearborn, Mich., manufactures or distributes automobiles across six continents. With about 163,000 employees and about 70 plants worldwide, the company’s automotive brands include Ford, Lincoln and Mercury, production of which has been announced by the company to be ending in the fourth quarter of 2010. The company provides financial services through Ford Motor Credit Company. For more information regarding Ford’s products, please visit http://www.ford.com/.